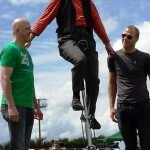 Solo Circus | Comedy Juggling Show, Juggler, Unicyclist, Street Entertainer. 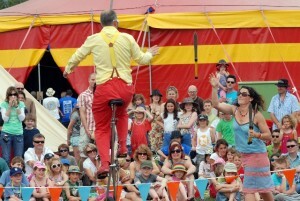 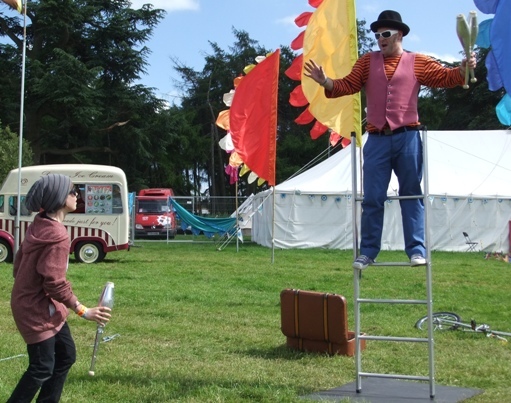 Solo Circus provides excellent static comedy juggling shows suitable for an array of events. The show is usually about 25 to 30 minutes long, although it can be shorter or slightly longer when needed. 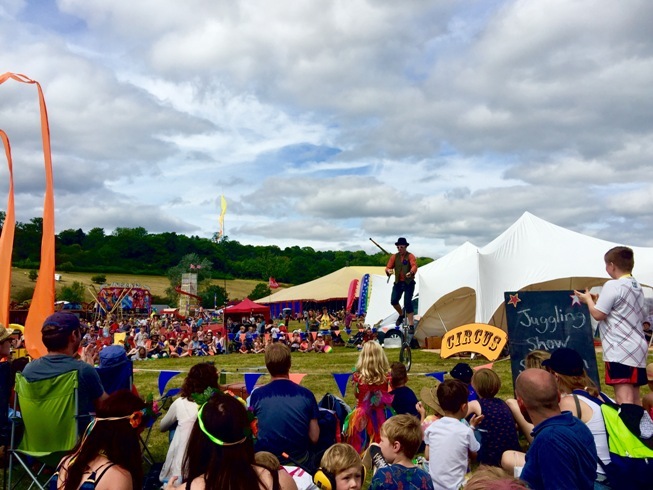 The Solo Circus juggling show includes silly one liners and impressive circus skills from the start. 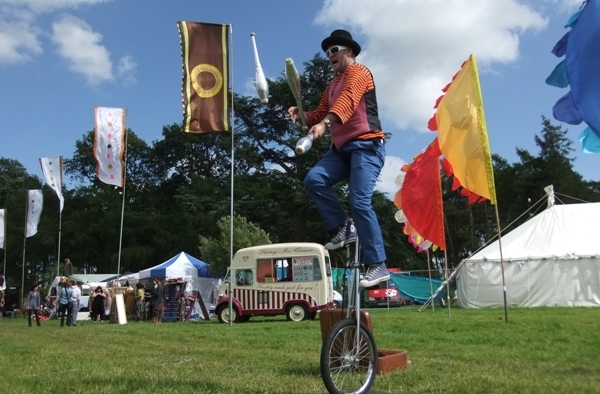 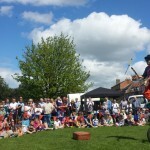 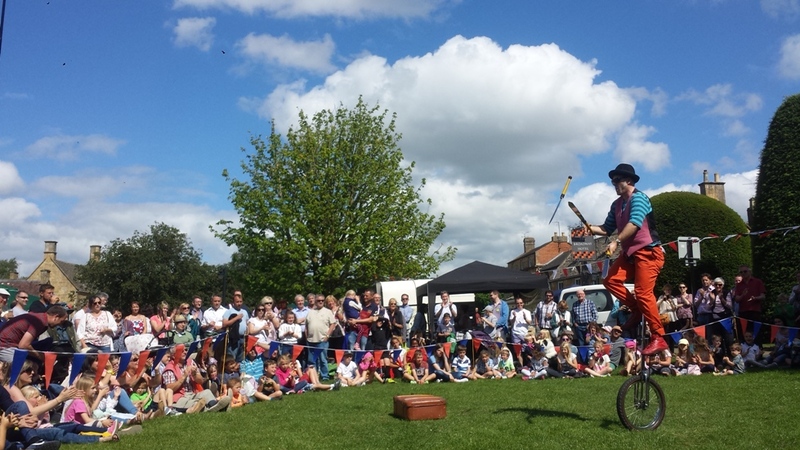 The juggling show has a good balance of banter and performance of physical skills including…object balancing, five ball juggling, cigar box juggling, club juggling, unicycling (small & tall), ladder balancing and sometimes knives and/or fire juggling. 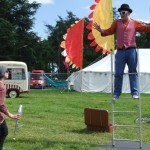 The balance of banter and physical, visual skills is what makes it entertaining for all ages. 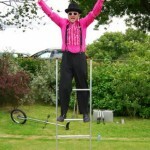 1) Comedy Juggler / Street Entertainer, Funky shirts, smart and colourful. 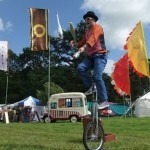 Suitable for all ages and events such as festivals, corporate and community events. 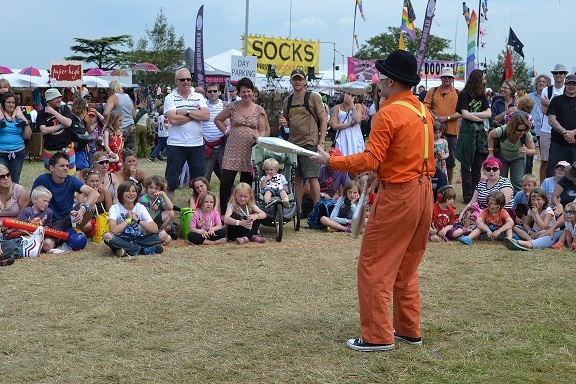 This is a Covent garden style juggling show. 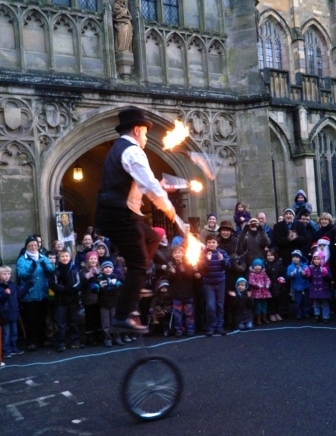 2) Victorian / Dickensian themed, performed in very smart top hat and tails. 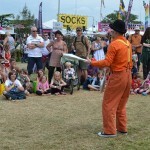 3) Double act juggling show, incredibly visual and funny juggling show. 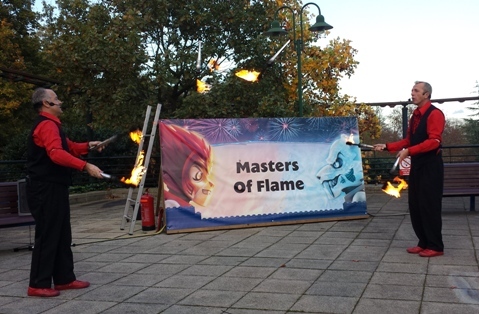 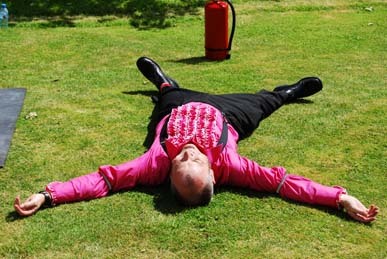 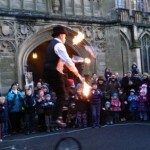 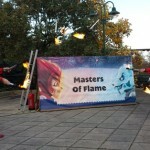 4) Masters of flame, Comedy fire juggling show. 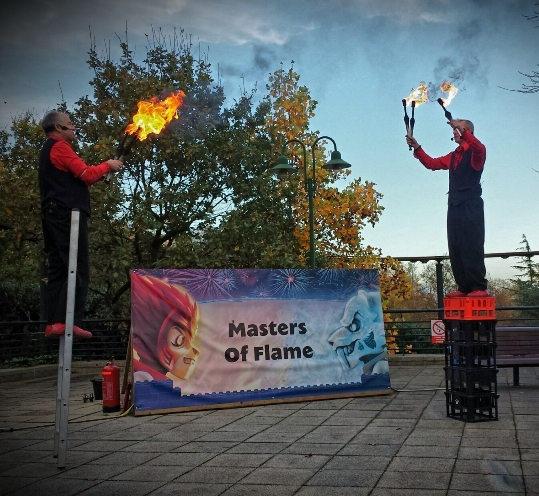 See Fire & LED Glow Juggler. 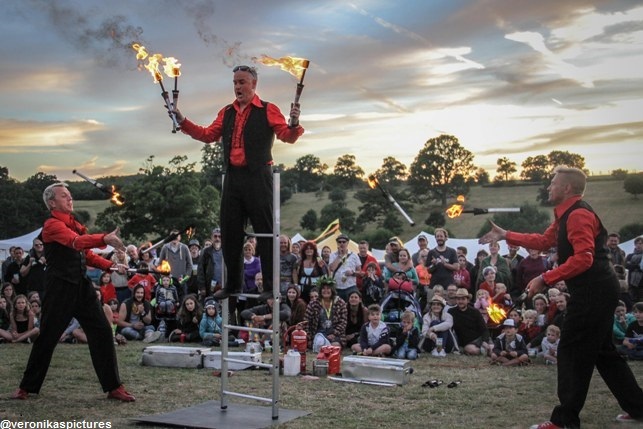 5) Danger Show, fire, knives, balance, comedy. 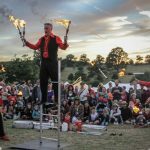 See Danger Show page for info. 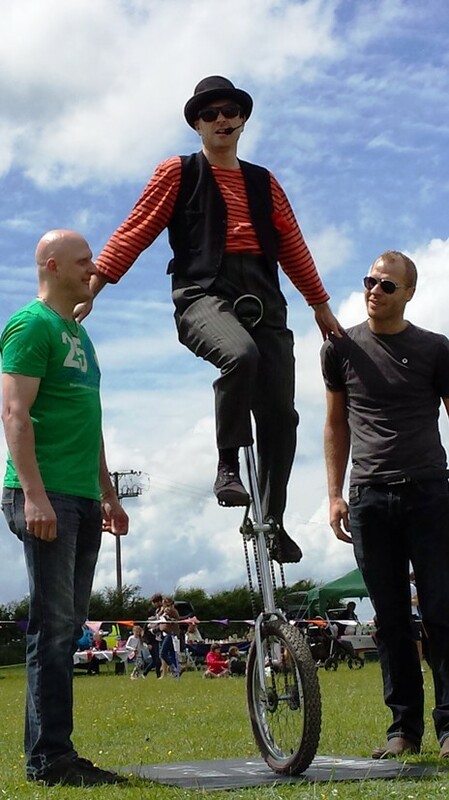 For Smaller events I carry my own PA with head set radio microphones. 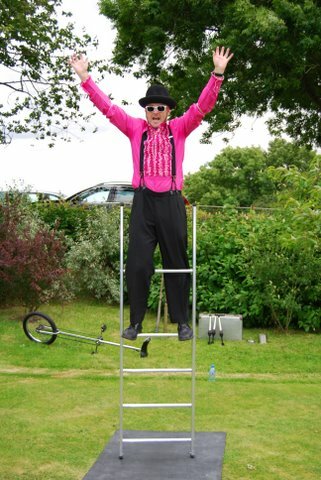 For some juggling performances I don’t use amplification at all…I’m naturally pretty loud! 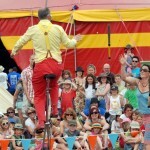 For larger events I can use main PA with my own mics. 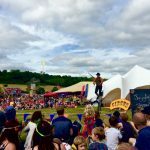 For outdoor events I can set up my own mini arena for the juggling show. 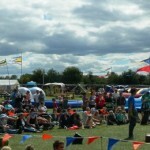 This area can also be used to run circus skills workshops, see Circus Skills Workshops for information on these. 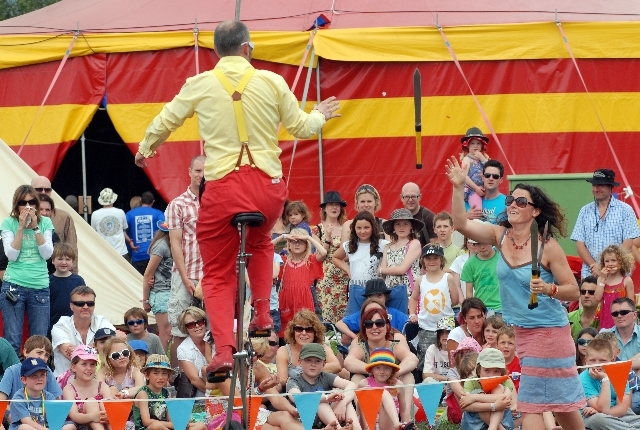 As an Equity member, Solo Circus has £10m public liability insurance and carries an enhanced DBS certificate.